As founder and president of Guernsey’s, Arlan Ettinger has been conducting major auctions for more than 40 years. 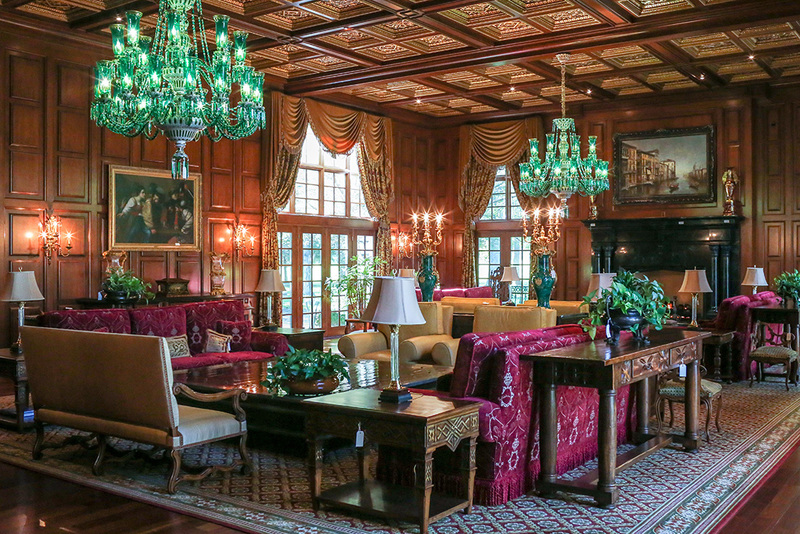 The New York auction house will conduct the sale of the contents of Asherwood, the massive Carmel estate donated by philanthropist Bren Simon to support the Great American Songbook Foundation. Bren Simon, who now lives in Colorado, is the widow of shopping mall magnate Mel Simon. The public will be able to view auction items during previews scheduled for 10 a.m. to 6 p.m. Nov. 10, 11 and 16. The auction is set for 11 a.m. Nov. 17 and noon Nov. 18, with global online bidding taking place at liveauctioneers.com and invaluable.com. Tickets for the previews are $25, with one ticket valid for all days and events. “Guernsey’s is not taking a dime from the tickets. It’s all going to the Songbook Foundation,” Ettinger said. Although the sale of the contents is set, the Songbook Foundation will accept proposals from real estate brokers about the best way to market and sell the 107-acre property, which includes two golf courses. Simon estimated the donated estate at $30 million. Approximately 1,000 lots are for sale, including hundreds of pieces of antique and custom furniture, décor items, works of art and imported rugs. Among the items is a large collection of antique books. The green chandeliers are estimated between $60,000 to $80,000 each. A birthday cake crystal chandelier is valued between $30,000 and $50,000. Ettinger said Asherwood includes fine antiques with handsomely crafted contemporary pieces. Ettinger said it took two weeks for eight people to catalogue the items in the 50,000-square foot mansion, guest house and golf clubhouse. The books are being sold as a collection. The estate includes closets full of china sets for all occasions, to be sold in sets for dinner service. Ettinger said this is an unreserved auction, meaning there no pre-set minimums. However, Ettinger said not having a reserve makes for a more exciting auction. Ettinger said potential buyers shouldn’t be scared away by estimates. Songbook Foundation Executive Director Chris Lewis said there was much discussion on how the donation of Asherwood could benefit the nonprofit even before Bren Simon’s donation of the estate was announced in January. The Songbook Foundation is seeking a building for its collection of memorabilia, but studies show a museum was impractical at Asherwood. Another idea, Lewis said, was to turn it into a hotel, but it only has seven bedrooms. “It’s been a lot of work, but we feel confident this is the right move,” Lewis said. For more information on the auction, visit guernseys.com. Auction tickets are available through the Center for the Performing Arts box office at 317-843-3800 or TheCenterPresents.org.